Search Results for "Educating the WholeHearted Child"
Over the years, I have often been asked, “How can you homeschool your children,” usually quickly followed by, “I just don’t think I’m smart enough to do that!” Inevitably, I respond by assuring them that I don’t believe that I have all of the answers to my children’s educational needs, or that I’m even required to, but I can find the answers. After early elementary school, academically, my job is one of teaching study skills, application and discipline, providing large doses of encouragement and support, and supplying necessary resources. I am better equipped and empowered when I utilize resources for parents, too. Those that are already using a wholehearted approach to teaching and have followed their leadership for years. This book was actually first published in 1994 and revised in 1996. It is now (2011) in it’s third printing, with more than 100 new pages added and a large portion of the original pages rewritten. Content and resources needed to be updated and they, like most of us, have learned a thing or two in fifteen years. These readers will discover a new or forgotten morsel of truth in this edition. Those, like me, who have been homeschooling for cen-tu-ries (intended hyperbole) and are in need of affirmation, inspiration or even a little coaxing to continue on this path. When I started reading this book, I wondered why I didn’t have it in 1994 or 1996. I was homeschooling then, why now? Because now is when I need to be reminded of my desire and my right to raise our children “in the fear and admonition of The Lord;” to emulate and teach an I’m-all-in-(body, mind, heart, soul and strength)-devotion to God, consistently and constantly. This book has been a transfusion to my life-battered being. I remember why. “It’s an apologia WholeHeart publication and it’s titled, Educating the WholeHearted Child, by Clay and Sally Clarkson. ME: “Sixty days, are you kidding me? (Between the heart palpitations I’m thinking, where has the year gone!) It’s going to be here in no time! (Think peace, I think. Don’t freak out! Enjoy Thanksgiving, first, my brain tries to reassure me.) 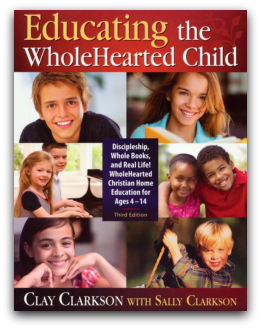 Educating the WholeAHearted Child is $22.00. It would be the best gift to get if you’re even considering homeschooling. It has chapters pertaining to: HOME, LEARNING, METHODS for Discipleship Studies, Disciplined Studies, The Study of Ideas, Discovery Studies and The Study of Living with an eye on your child’s Divine design and natural bent, and LIVING. 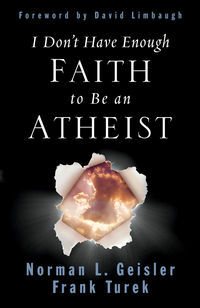 You can look up *https://apologia.securesites.net/pdfs/TOC/297.pdf to see the Table of Contents in detail, and if you go to *https://apologia.secutesites.net/pdfs/sample/297.pdf you can view a sample of the entire 1st chapter. You’ll notice there is additional information along the margins of the main text, Scripture references and notable quotes. There’s even more in other chapters, throughout the book. You’ll find answers to questions, like What about Socialization? Information and statistics. “…nearly 4 percent of the school-age population are homeschoolers.” That’s more than 2 million K-12 children in the U.S. that are homeschooled, which is considerably more than the estimated 30,000 when I began to homeschool. There are recommended resources and suggested math tools, lists of good books and field trip tips and rules. Starting in chapter two there are italicized notes, under the heading of IN OUR HOME. Located at the bottom of a page, these snippets offer a glimpse into the Clarkson’s own home. This is what you’ll read on page 217, “With all the baskets lying around our house, someone might think we like to shop at the local Farmers’ Market. Except for one thing – they are all filled with books! Next to just about every comfortable couch or overstuffed chair, there is a big can or wicker basket of fruits and vegetables for the mind. The baskets were originally filled with random or topical selections of books (holiday, illustrated stories, heroes, preschool, etc.). Later we turned them into personal reading – one for each child and one for library books. We change the selection periodically with input from the children. It’s so fulfilling to see our children grab books to read alone or together stretched out on the couch or stuffed into the overstuffed chair. Now if we can just find a good Farmers’ Market for books.” With all of their years of personal education, experience and accomplishments, Clay and Sally Clarkson seem very humble. I didn’t find judgment or absolutes in this book. I encountered an undeniable love of Christ, family, life and learning, and the desire to pass that on to anyone and everyone that will listen. There’s little more to write for this review. I think Educating the WholeHearted Child is a treasure chest full of God’s goodness, and every time I dip my hand into it, turn the page, I pull out another priceless gem. I find it remarkable that this book has made such a defining impact on my life. I trust God that His timing is perfect and this is the exact place of weariness that I needed it’s restorative power. I am ever in awe of Him and His great love for me and the family that I adore. Your comments are most welcome. Thanks.